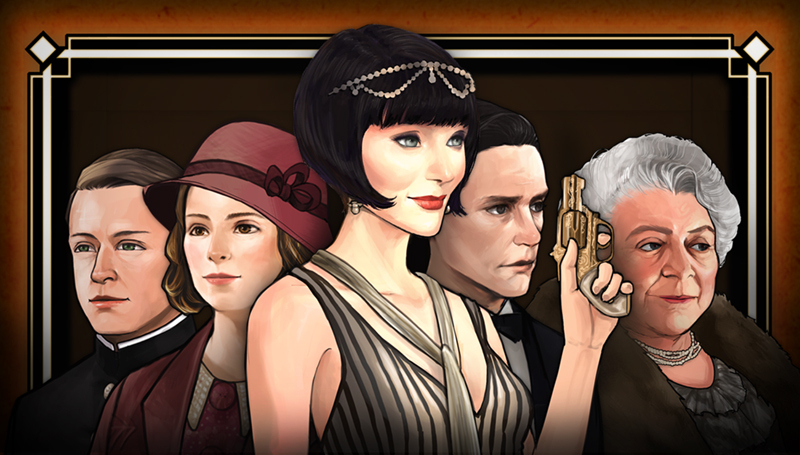 » Miss Fisher arrives in style on Steam for PC & Mac! As a private detective, Phryne must frequently deal with the local constabulary – led by Detective Inspector Jack Robinson and his right-hand-man Constable Hugh Collins. Despite rocky beginnings, Jack soon comes to appreciate Miss Fisher’s Holmesian skills of observation and deduction – especially after she saves his neck more than once! Never far from Miss Fisher’s side is Dorothy “Dot” Williams. After becoming acquainted during an investigation, Phryne is quick to notice Dot’s quiet intelligence, and offers her a place in her household but Dot is quick to prove her worth as far more than a maid. Miss Fisher and the Deathly Maze sees you join Miss Fisher and her companions as they unravel a strange case that begins with a night at the theatre gone horribly wrong and takes Phryne deep into her past – to memories she has long fought to forget, but must now confront. Miss Fisher and the Deathly Maze is a murder mystery adventure game based on the hit TV series, Miss Fisher’s Murder Mysteries, which was filmed and produced in Australia and has been broadcast in over 150 territories worldwide. The series wowed audiences around the world with its stunning sets and award-winning costumes which evoke the period in an uncommonly vivid way. It features a type of heroine often absent from games and television – an adult woman who is neither femme fatale, nor damsel, nor matron. Phryne is intelligent, cheeky and worldly – an intriguing and refreshing lead. Download Miss Fisher and the Deathly Maze now for PC, Mac, iOS and Android!